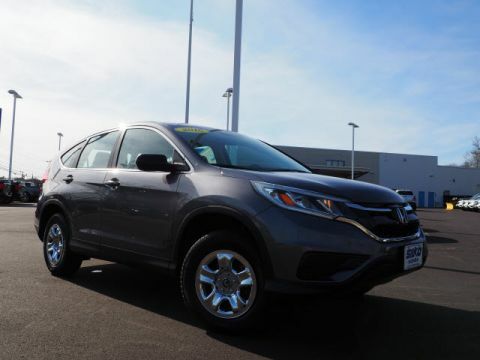 If you’re looking for a reliable mode of transport and a variety of manufacturer benefits but don’t want to pay a new car price, consider opting for one of the Certified Pre-Owned Hondas available near Plymouth and Easton at Silko Honda. 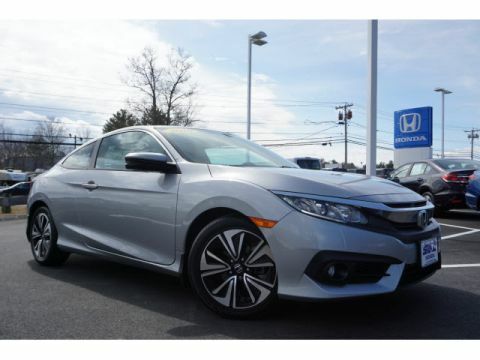 Most CPO programs come with a variety of benefits, including low mileage, but if you opt for buying one from us then you’ll get some exclusive Honda CPO benefits. Come check out our selection of CPO sedans, trucks, SUVs, and more at our dealership in Raynham today! Recent Arrival! 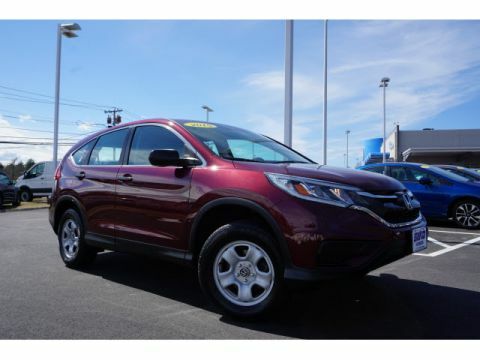 **Honda CERTIFIED**, FREE LIFETIME WARRANTY, BOUGHT, SERVICED, AND TRADED @ SILKO, RECENT TRADE IN, MOONROOF/SUNROOF, ONE OWNER, CLEAN CARFAX NO ACCIDENTS, BLUETOOTH HANDS FREE, BACK-UP CAM, POWER SEAT, HEATED SEATS, ALLOY/ALUMINUM WHEELS, AUX INPUT, AUX INPUT & USB CONNECTION, PWR WINDOWS, LOCKS, AND MIRRORS, AUDIO CONTROLS ON STEERING WHEEL, CRUISE, PUSH BUTTON START, SMART ENTRY SYSTEM, AUTO ON-OFF HEADLIGHTS, DUAL ZONE AUTO CLIMATE CONTROL, Cloth. 31/41 City/Highway MPGAwards: * 2016 IIHS Top Safety Pick+ (When equipped with honda sensing) * NACTOY 2016 North American Car of the Year * 2016 KBB.com Brand Image Awards2016 Kelley Blue Book Brand Image Awards are based on the Brand Watch(tm) study from Kelley Blue Book Market Intelligence. Award calculated among non-luxury shoppers. For more information, visit www.kbb.com. 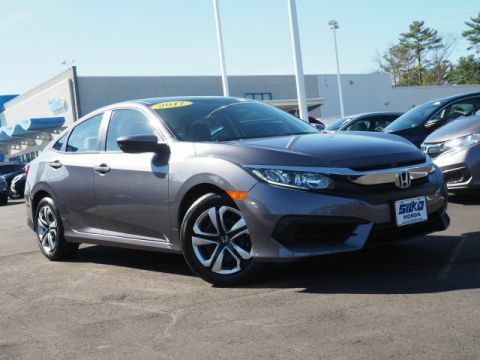 Kelley Blue Book is a registered trademark of Kelley Blue Book Co., Inc.At Silko Honda, our commitment to providing an overall great buying experience and the level of member support offered by our staff is what sets us apart from the rest. Every pre-owned vehicle we sell comes with our Exclusive Silko Care program, which gives you every other oil change, FREE! Customer Service Specialists are available seven days a week to answer questions, verify pricing, and even review purchase contracts - all to ensure we meet your expectations for service and value. Discover the Difference at Silko: We're located just off of RTE 24 on RTE 44 in Raynham. Come see why so many people are electing to GO SILKO!! Silko Honda is proudly serving: Raynham, Taunton, Middleboro, Bridgewater, Brockton, Lakeville, Carver, Berkley, Wareham, Marion, Plymouth, Seekonk, Fall River, Rehoboth, Swansea, Somerset, Westport, Dartmouth, New Bedford, Carver, Easton, Mansfield, Norton, Attleboro, Rochester, Wareham, Kingston, Halifax, Hanson, and all of Rhode Island. **Pricing does not reflect tax, title, registration, or dealer fees. Recent Arrival! **Honda CERTIFIED**, FREE LIFETIME WARRANTY, ONE OWNER, CLEAN CARFAX NO ACCIDENTS, BLUETOOTH HANDS FREE, BACK-UP CAM, AUX INPUT, AUX INPUT & USB CONNECTION, PWR WINDOWS, LOCKS, AND MIRRORS.At Silko Honda, our commitment to providing an overall great buying experience and the level of member support offered by our staff is what sets us apart from the rest. Every pre-owned vehicle we sell comes with our Exclusive Silko Care program, which gives you every other oil change, FREE! Customer Service Specialists are available seven days a week to answer questions, verify pricing, and even review purchase contracts - all to ensure we meet your expectations for service and value. Discover the Difference at Silko: We're located just off of RTE 24 on RTE 44 in Raynham. Come see why so many people are electing to GO SILKO!! 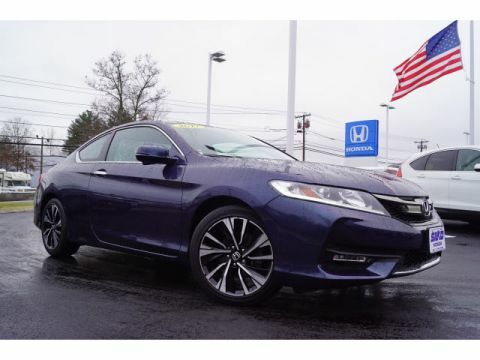 Silko Honda is proudly serving: Raynham, Taunton, Middleboro, Bridgewater, Brockton, Lakeville, Carver, Berkley, Wareham, Marion, Plymouth, Seekonk, Fall River, Rehoboth, Swansea, Somerset, Westport, Dartmouth, New Bedford, Carver, Easton, Mansfield, Norton, Attleboro, Rochester, Wareham, Kingston, Halifax, Hanson, and all of Rhode Island. **Pricing does not reflect tax, title, registration, or dealer fees. Recent Arrival! 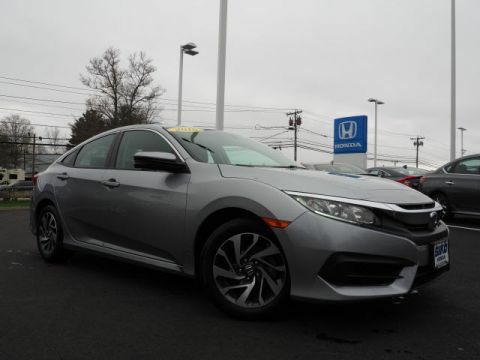 **Honda CERTIFIED**, FREE LIFETIME WARRANTY, BOUGHT, SERVICED, AND TRADED @ SILKO, RECENT TRADE IN, ONE OWNER, CLEAN CARFAX NO ACCIDENTS, BLUETOOTH HANDS FREE, AUX INPUT, AUX INPUT & USB CONNECTION, PWR WINDOWS, LOCKS, AND MIRRORS, CRUISE, AUTO ON-OFF HEADLIGHTS, Cloth. Odometer is 11475 miles below market average! 31/41 City/Highway MPGAwards: * 2016 IIHS Top Safety Pick+ (When equipped with honda sensing) * NACTOY 2016 North American Car of the Year * 2016 KBB.com Brand Image Awards2016 Kelley Blue Book Brand Image Awards are based on the Brand Watch(tm) study from Kelley Blue Book Market Intelligence. Award calculated among non-luxury shoppers. For more information, visit www.kbb.com. 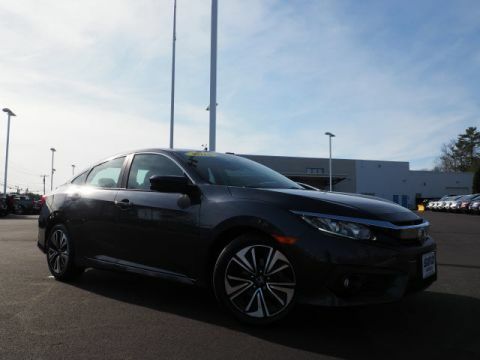 Kelley Blue Book is a registered trademark of Kelley Blue Book Co., Inc.At Silko Honda, our commitment to providing an overall great buying experience and the level of member support offered by our staff is what sets us apart from the rest. Every pre-owned vehicle we sell comes with our Exclusive Silko Care program, which gives you every other oil change, FREE! Customer Service Specialists are available seven days a week to answer questions, verify pricing, and even review purchase contracts - all to ensure we meet your expectations for service and value. Discover the Difference at Silko: We're located just off of RTE 24 on RTE 44 in Raynham. Come see why so many people are electing to GO SILKO!! Silko Honda is proudly serving: Raynham, Taunton, Middleboro, Bridgewater, Brockton, Lakeville, Carver, Berkley, Wareham, Marion, Plymouth, Seekonk, Fall River, Rehoboth, Swansea, Somerset, Westport, Dartmouth, New Bedford, Carver, Easton, Mansfield, Norton, Attleboro, Rochester, Wareham, Kingston, Halifax, Hanson, and all of Rhode Island. **Pricing does not reflect tax, title, registration, or dealer fees. Recent Arrival! FREE LIFETIME WARRANTY, BOUGHT, SERVICED, AND TRADED @ SILKO, RECENT TRADE IN, ALL WHEEL DRIVE, MOONROOF/SUNROOF, ONE OWNER, CLEAN CARFAX NO ACCIDENTS, BLUETOOTH HANDS FREE, BACK-UP CAM, POWER SEAT, LUMBAR SUPPORT, HEATED SEATS, ALLOY/ALUMINUM WHEELS, AUX INPUT, AUX INPUT & USB CONNECTION, PWR WINDOWS, LOCKS, AND MIRRORS, AUDIO CONTROLS ON STEERING WHEEL, CRUISE, AUTO ON-OFF HEADLIGHTS, DUAL ZONE AUTO CLIMATE CONTROL, AWD. Odometer is 25231 miles below market average! 22/30 City/Highway MPGAwards: * JD Power Initial Quality Study * 2013 KBB.com Brand Image Awards2016 Kelley Blue Book Brand Image Awards are based on the Brand Watch(tm) study from Kelley Blue Book Market Intelligence. Award calculated among non-luxury shoppers. For more information, visit www.kbb.com. Kelley Blue Book is a registered trademark of Kelley Blue Book Co., Inc.At Silko Honda, our commitment to providing an overall great buying experience and the level of member support offered by our staff is what sets us apart from the rest. Every pre-owned vehicle we sell comes with our Exclusive Silko Care program, which gives you every other oil change, FREE! Customer Service Specialists are available seven days a week to answer questions, verify pricing, and even review purchase contracts - all to ensure we meet your expectations for service and value. Discover the Difference at Silko: We're located just off of RTE 24 on RTE 44 in Raynham. Come see why so many people are electing to GO SILKO!! Silko Honda is proudly serving: Raynham, Taunton, Middleboro, Bridgewater, Brockton, Lakeville, Carver, Berkley, Wareham, Marion, Plymouth, Seekonk, Fall River, Rehoboth, Swansea, Somerset, Westport, Dartmouth, New Bedford, Carver, Easton, Mansfield, Norton, Attleboro, Rochester, Wareham, Kingston, Halifax, Hanson, and all of Rhode Island. **Pricing does not reflect tax, title, registration, or dealer fees. Recent Arrival! 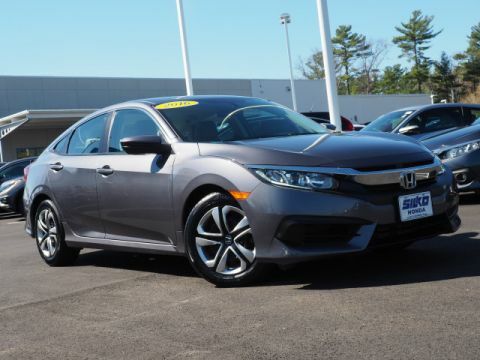 **Honda CERTIFIED**, FREE LIFETIME WARRANTY, TURBO ENGINE, MOONROOF/SUNROOF, ONE OWNER, CLEAN CARFAX NO ACCIDENTS, BLUETOOTH HANDS FREE, APPLE CAR PLAY/ANDROID AUTO, BACK-UP CAM, POWER SEAT, HEATED SEATS, ALLOY/ALUMINUM WHEELS, AUX INPUT, AUX INPUT & USB CONNECTION, USB CONNECTION, PANDORA COMPATABILITY, SIRIUSXM RADIO READY, PWR WINDOWS, LOCKS, AND MIRRORS, AUDIO CONTROLS ON STEERING WHEEL, CRUISE, PUSH BUTTON START, SMART ENTRY SYSTEM, DUAL ZONE AUTO CLIMATE CONTROL, Cloth. 31/41 City/Highway MPGAwards: * 2016 IIHS Top Safety Pick+ (When equipped with honda sensing) * NACTOY 2016 North American Car of the Year * 2016 KBB.com Brand Image Awards2016 Kelley Blue Book Brand Image Awards are based on the Brand Watch(tm) study from Kelley Blue Book Market Intelligence. Award calculated among non-luxury shoppers. For more information, visit www.kbb.com. 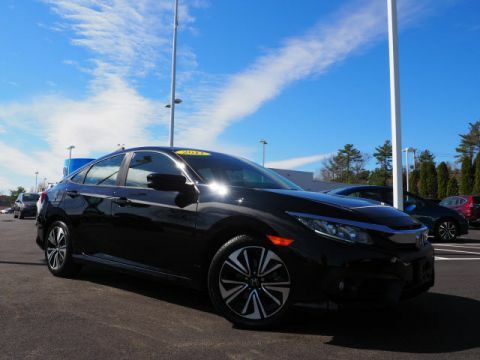 Kelley Blue Book is a registered trademark of Kelley Blue Book Co., Inc.At Silko Honda, our commitment to providing an overall great buying experience and the level of member support offered by our staff is what sets us apart from the rest. Every pre-owned vehicle we sell comes with our Exclusive Silko Care program, which gives you every other oil change, FREE! Customer Service Specialists are available seven days a week to answer questions, verify pricing, and even review purchase contracts - all to ensure we meet your expectations for service and value. Discover the Difference at Silko: We're located just off of RTE 24 on RTE 44 in Raynham. Come see why so many people are electing to GO SILKO!! Silko Honda is proudly serving: Raynham, Taunton, Middleboro, Bridgewater, Brockton, Lakeville, Carver, Berkley, Wareham, Marion, Plymouth, Seekonk, Fall River, Rehoboth, Swansea, Somerset, Westport, Dartmouth, New Bedford, Carver, Easton, Mansfield, Norton, Attleboro, Rochester, Wareham, Kingston, Halifax, Hanson, and all of Rhode Island. **Pricing does not reflect tax, title, registration, or dealer fees. Recent Arrival! 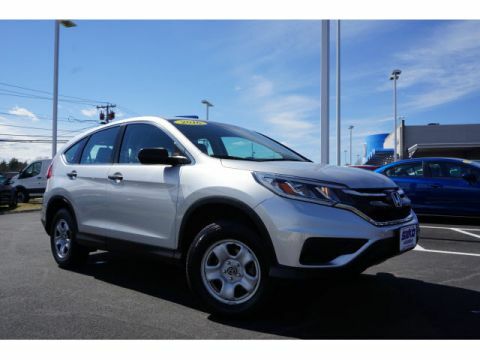 **Honda CERTIFIED**, FREE LIFETIME WARRANTY, ALL WHEEL DRIVE, ONE OWNER, CLEAN CARFAX NO ACCIDENTS, BLUETOOTH HANDS FREE, BACK-UP CAM, AUX INPUT, AUX INPUT & USB CONNECTION, PWR WINDOWS, LOCKS, AND MIRRORS, AUTO ON-OFF HEADLIGHTS, AWD. 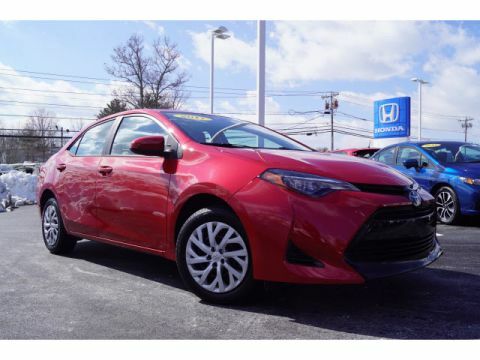 25/31 City/Highway MPGAwards: * 2016 IIHS Top Safety Pick+ (With Touring Model) * ALG Residual Value Awards * 2016 KBB.com Brand Image Awards2016 Kelley Blue Book Brand Image Awards are based on the Brand Watch(tm) study from Kelley Blue Book Market Intelligence. Award calculated among non-luxury shoppers. For more information, visit www.kbb.com. 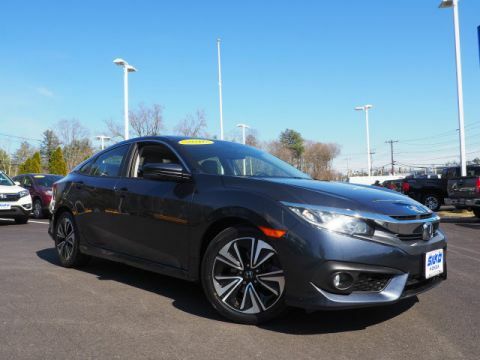 Kelley Blue Book is a registered trademark of Kelley Blue Book Co., Inc.At Silko Honda, our commitment to providing an overall great buying experience and the level of member support offered by our staff is what sets us apart from the rest. Every pre-owned vehicle we sell comes with our Exclusive Silko Care program, which gives you every other oil change, FREE! Customer Service Specialists are available seven days a week to answer questions, verify pricing, and even review purchase contracts - all to ensure we meet your expectations for service and value. Discover the Difference at Silko: We're located just off of RTE 24 on RTE 44 in Raynham. Come see why so many people are electing to GO SILKO!! Silko Honda is proudly serving: Raynham, Taunton, Middleboro, Bridgewater, Brockton, Lakeville, Carver, Berkley, Wareham, Marion, Plymouth, Seekonk, Fall River, Rehoboth, Swansea, Somerset, Westport, Dartmouth, New Bedford, Carver, Easton, Mansfield, Norton, Attleboro, Rochester, Wareham, Kingston, Halifax, Hanson, and all of Rhode Island. **Pricing does not reflect tax, title, registration, or dealer fees. Recent Arrival! FREE LIFETIME WARRANTY, ONE OWNER, CLEAN CARFAX NO ACCIDENTS, BLUETOOTH HANDS FREE, BACK-UP CAM, AUX INPUT & USB CONNECTION, AUDIO CONTROLS ON STEERING WHEEL, AUTO HIGH BEAMS, TOYOTA STAR SAFETY SYSTEM, PRE COLLISION SYSTEM WITH PEDESTRIAN DETECTION, DYNAMIC RADAR CRUISE CONTROL, LANE DEPARTURE ALERT WITH STEERING ASSIST. Odometer is 26789 miles below market average! 28/36 City/Highway MPGAwards: * 2017 KBB.com 10 Best Sedans Under $25,000 * 2017 KBB.com 5-Year Cost to Own Awards * 2017 KBB.com 10 Most Awarded Brands * 2017 KBB.com Best Resale Value AwardsAt Silko Honda, our commitment to providing an overall great buying experience and the level of member support offered by our staff is what sets us apart from the rest. Every pre-owned vehicle we sell comes with our Exclusive Silko Care program, which gives you every other oil change, FREE! Customer Service Specialists are available seven days a week to answer questions, verify pricing, and even review purchase contracts - all to ensure we meet your expectations for service and value. Discover the Difference at Silko: We're located just off of RTE 24 on RTE 44 in Raynham. Come see why so many people are electing to GO SILKO!! Silko Honda is proudly serving: Raynham, Taunton, Middleboro, Bridgewater, Brockton, Lakeville, Carver, Berkley, Wareham, Marion, Plymouth, Seekonk, Fall River, Rehoboth, Swansea, Somerset, Westport, Dartmouth, New Bedford, Carver, Easton, Mansfield, Norton, Attleboro, Rochester, Wareham, Kingston, Halifax, Hanson, and all of Rhode Island. **Pricing does not reflect tax, title, registration, or dealer fees. Recent Arrival! 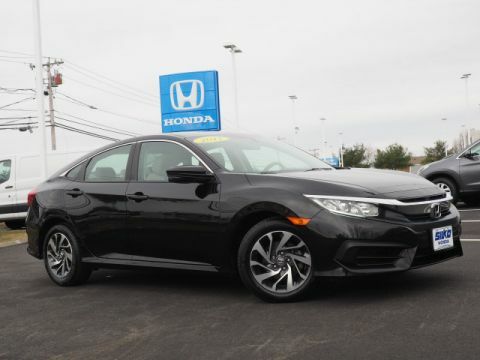 **Honda CERTIFIED**, FREE LIFETIME WARRANTY, BOUGHT, SERVICED, AND TRADED @ SILKO, RECENT TRADE IN, ONE OWNER, CLEAN CARFAX NO ACCIDENTS, BLUETOOTH HANDS FREE, AUX INPUT, AUX INPUT & USB CONNECTION, PWR WINDOWS, LOCKS, AND MIRRORS, CRUISE, AUTO ON-OFF HEADLIGHTS, Black/Gray Cloth. 30/39 City/Highway MPGAwards: * 2017 IIHS Top Safety Pick (When equipped with Honda Sensing) * 2017 KBB.com Brand Image Awards * 2017 KBB.com 10 Most Awarded Brands2016 Kelley Blue Book Brand Image Awards are based on the Brand Watch(tm) study from Kelley Blue Book Market Intelligence. Award calculated among non-luxury shoppers. For more information, visit www.kbb.com. Kelley Blue Book is a registered trademark of Kelley Blue Book Co., Inc.At Silko Honda, our commitment to providing an overall great buying experience and the level of member support offered by our staff is what sets us apart from the rest. Every pre-owned vehicle we sell comes with our Exclusive Silko Care program, which gives you every other oil change, FREE! Customer Service Specialists are available seven days a week to answer questions, verify pricing, and even review purchase contracts - all to ensure we meet your expectations for service and value. Discover the Difference at Silko: We're located just off of RTE 24 on RTE 44 in Raynham. Come see why so many people are electing to GO SILKO!! Silko Honda is proudly serving: Raynham, Taunton, Middleboro, Bridgewater, Brockton, Lakeville, Carver, Berkley, Wareham, Marion, Plymouth, Seekonk, Fall River, Rehoboth, Swansea, Somerset, Westport, Dartmouth, New Bedford, Carver, Easton, Mansfield, Norton, Attleboro, Rochester, Wareham, Kingston, Halifax, Hanson, and all of Rhode Island. **Pricing does not reflect tax, title, registration, or dealer fees. Recent Arrival! 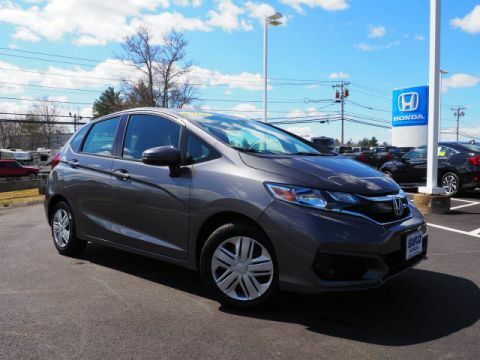 **Honda CERTIFIED**, FREE LIFETIME WARRANTY, ONE OWNER, CLEAN CARFAX NO ACCIDENTS, BLUETOOTH HANDS FREE, ALLOY/ALUMINUM WHEELS, AUX INPUT, AUX INPUT & USB CONNECTION, PWR WINDOWS, LOCKS, AND MIRRORS, CRUISE, AUTO ON-OFF HEADLIGHTS, Cloth. 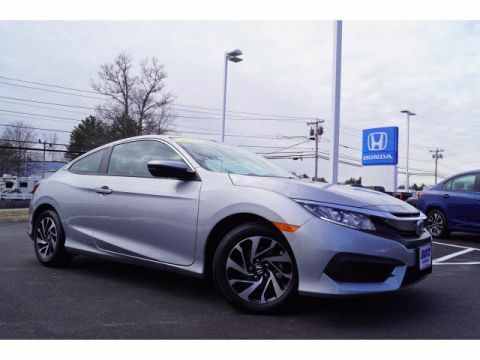 31/40 City/Highway MPGAwards: * 2017 IIHS Top Safety Pick (When equipped with Honda Sensing) * 2017 KBB.com Brand Image Awards * 2017 KBB.com 10 Most Awarded Brands2016 Kelley Blue Book Brand Image Awards are based on the Brand Watch(tm) study from Kelley Blue Book Market Intelligence. Award calculated among non-luxury shoppers. For more information, visit www.kbb.com. 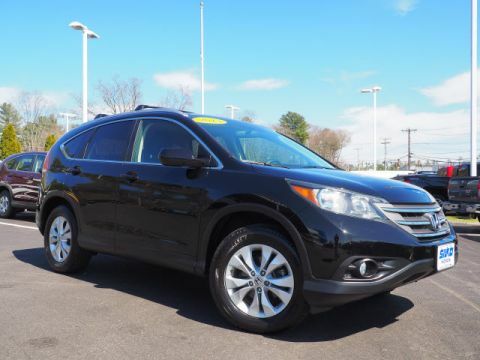 Kelley Blue Book is a registered trademark of Kelley Blue Book Co., Inc.At Silko Honda, our commitment to providing an overall great buying experience and the level of member support offered by our staff is what sets us apart from the rest. Every pre-owned vehicle we sell comes with our Exclusive Silko Care program, which gives you every other oil change, FREE! Customer Service Specialists are available seven days a week to answer questions, verify pricing, and even review purchase contracts - all to ensure we meet your expectations for service and value. Discover the Difference at Silko: We're located just off of RTE 24 on RTE 44 in Raynham. Come see why so many people are electing to GO SILKO!! Silko Honda is proudly serving: Raynham, Taunton, Middleboro, Bridgewater, Brockton, Lakeville, Carver, Berkley, Wareham, Marion, Plymouth, Seekonk, Fall River, Rehoboth, Swansea, Somerset, Westport, Dartmouth, New Bedford, Carver, Easton, Mansfield, Norton, Attleboro, Rochester, Wareham, Kingston, Halifax, Hanson, and all of Rhode Island. **Pricing does not reflect tax, title, registration, or dealer fees. Recent Arrival! 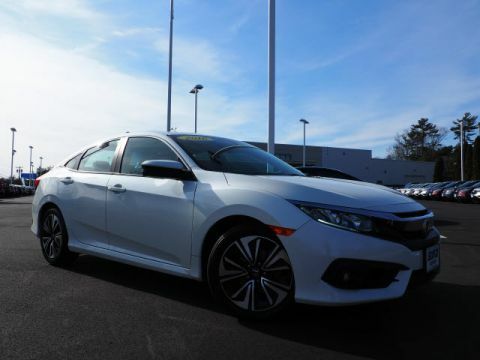 **Honda CERTIFIED**, FREE LIFETIME WARRANTY, TURBO ENGINE, REMOTE START, MOONROOF/SUNROOF, ONE OWNER, CLEAN CARFAX NO ACCIDENTS, BLUETOOTH HANDS FREE, APPLE CAR PLAY/ANDROID AUTO, BACK-UP CAM, HEATED LEATHER SEATS, POWER SEAT, HEATED SEATS, ALLOY/ALUMINUM WHEELS, AUX INPUT, AUX INPUT & USB CONNECTION, PANDORA COMPATABILITY, SIRIUSXM RADIO READY, PWR WINDOWS, LOCKS, AND MIRRORS, AUDIO CONTROLS ON STEERING WHEEL, CRUISE, PUSH BUTTON START, SMART ENTRY SYSTEM, AUTO ON-OFF HEADLIGHTS, DUAL ZONE AUTO CLIMATE CONTROL, Leather. 31/42 City/Highway MPGAwards: * NACTOY 2016 North American Car of the Year * 2016 KBB.com Brand Image Awards2016 Kelley Blue Book Brand Image Awards are based on the Brand Watch(tm) study from Kelley Blue Book Market Intelligence. Award calculated among non-luxury shoppers. For more information, visit www.kbb.com. 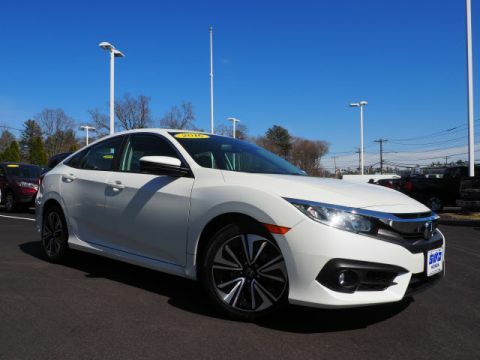 Kelley Blue Book is a registered trademark of Kelley Blue Book Co., Inc.At Silko Honda, our commitment to providing an overall great buying experience and the level of member support offered by our staff is what sets us apart from the rest. Every pre-owned vehicle we sell comes with our Exclusive Silko Care program, which gives you every other oil change, FREE! Customer Service Specialists are available seven days a week to answer questions, verify pricing, and even review purchase contracts - all to ensure we meet your expectations for service and value. Discover the Difference at Silko: We're located just off of RTE 24 on RTE 44 in Raynham. Come see why so many people are electing to GO SILKO!! Silko Honda is proudly serving: Raynham, Taunton, Middleboro, Bridgewater, Brockton, Lakeville, Carver, Berkley, Wareham, Marion, Plymouth, Seekonk, Fall River, Rehoboth, Swansea, Somerset, Westport, Dartmouth, New Bedford, Carver, Easton, Mansfield, Norton, Attleboro, Rochester, Wareham, Kingston, Halifax, Hanson, and all of Rhode Island. **Pricing does not reflect tax, title, registration, or dealer fees. Recent Arrival! 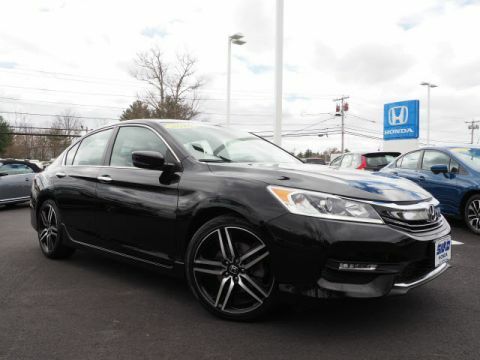 **Honda CERTIFIED**, FREE LIFETIME WARRANTY, BOUGHT, SERVICED, AND TRADED @ SILKO, ALL WHEEL DRIVE, ONE OWNER, CLEAN CARFAX NO ACCIDENTS, BLUETOOTH HANDS FREE, BACK-UP CAM, AUX INPUT & USB CONNECTION, PANDORA COMPATABILITY, AUDIO CONTROLS ON STEERING WHEEL, SMS TEXT MESSAGE FUNCTION, AWD. Odometer is 8766 miles below market average! 25/31 City/Highway MPGAwards: * ALG Residual Value Awards * 2016 IIHS Top Safety Pick+ (With Touring Model) * 2016 KBB.com Brand Image Awards2016 Kelley Blue Book Brand Image Awards are based on the Brand Watch(tm) study from Kelley Blue Book Market Intelligence. Award calculated among non-luxury shoppers. For more information, visit www.kbb.com. Kelley Blue Book is a registered trademark of Kelley Blue Book Co., Inc.At Silko Honda, our commitment to providing an overall great buying experience and the level of member support offered by our staff is what sets us apart from the rest. Every pre-owned vehicle we sell comes with our Exclusive Silko Care program, which gives you every other oil change, FREE! Customer Service Specialists are available seven days a week to answer questions, verify pricing, and even review purchase contracts - all to ensure we meet your expectations for service and value. Discover the Difference at Silko: We're located just off of RTE 24 on RTE 44 in Raynham. Come see why so many people are electing to GO SILKO!! Silko Honda is proudly serving: Raynham, Taunton, Middleboro, Bridgewater, Brockton, Lakeville, Carver, Berkley, Wareham, Marion, Plymouth, Seekonk, Fall River, Rehoboth, Swansea, Somerset, Westport, Dartmouth, New Bedford, Carver, Easton, Mansfield, Norton, Attleboro, Rochester, Wareham, Kingston, Halifax, Hanson, and all of Rhode Island. **Pricing does not reflect tax, title, registration, or dealer fees. Recent Arrival! **Honda CERTIFIED**, FREE LIFETIME WARRANTY, BOUGHT, SERVICED, AND TRADED @ SILKO, SPORT, ONE OWNER, CLEAN CARFAX NO ACCIDENTS, BLUETOOTH HANDS FREE, BACK-UP CAM, ALLOY/ALUMINUM WHEELS, AUX INPUT, AUX INPUT & USB CONNECTION, SIRIUSXM RADIO READY, PWR WINDOWS, LOCKS, AND MIRRORS, AUDIO CONTROLS ON STEERING WHEEL, CRUISE, AUTO ON-OFF HEADLIGHTS, DUAL ZONE AUTO CLIMATE CONTROL, Cloth. 26/35 City/Highway MPGAwards: * ALG Residual Value Awards * 2016 KBB.com Brand Image Awards2016 Kelley Blue Book Brand Image Awards are based on the Brand Watch(tm) study from Kelley Blue Book Market Intelligence. Award calculated among non-luxury shoppers. For more information, visit www.kbb.com. Kelley Blue Book is a registered trademark of Kelley Blue Book Co., Inc.At Silko Honda, our commitment to providing an overall great buying experience and the level of member support offered by our staff is what sets us apart from the rest. Every pre-owned vehicle we sell comes with our Exclusive Silko Care program, which gives you every other oil change, FREE! Customer Service Specialists are available seven days a week to answer questions, verify pricing, and even review purchase contracts - all to ensure we meet your expectations for service and value. Discover the Difference at Silko: We're located just off of RTE 24 on RTE 44 in Raynham. Come see why so many people are electing to GO SILKO!! Silko Honda is proudly serving: Raynham, Taunton, Middleboro, Bridgewater, Brockton, Lakeville, Carver, Berkley, Wareham, Marion, Plymouth, Seekonk, Fall River, Rehoboth, Swansea, Somerset, Westport, Dartmouth, New Bedford, Carver, Easton, Mansfield, Norton, Attleboro, Rochester, Wareham, Kingston, Halifax, Hanson, and all of Rhode Island. **Pricing does not reflect tax, title, registration, or dealer fees. 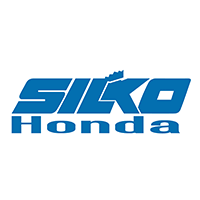 The team at Silko Honda is here to make your auto buying process as easy and enjoyable as possible. 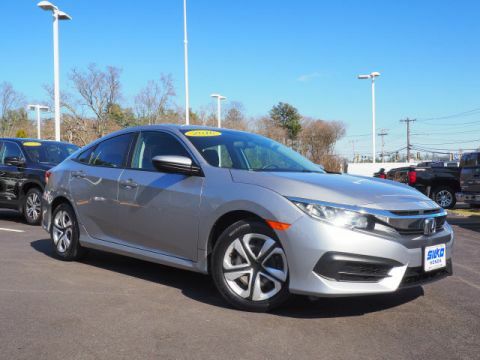 We have a fast and hassle-free financing process, and every one of our Certified Pre-Owned Hondas has been thoroughly inspected by one of our factory-trained and certified Honda technicians. If you have any questions about this generous program or want to take a test drive, stop by our dealership near Easton and Plymouth or contact us directly!